As far as we can see together with the editor of the encyclopedia Fabrizio Pregadio, the term dantian is really ancient (not SO ancient as the whole Chinese civilization but) and firstly occurs in two sources concerning the divinization of Laozi, both dating from 165 CE. As a matter of fact, there are three dantian centers in our bodies, and following the editor, we can define the first: “The lower Cinnabar Field is the dantian proper and is the seat of essence (jing). 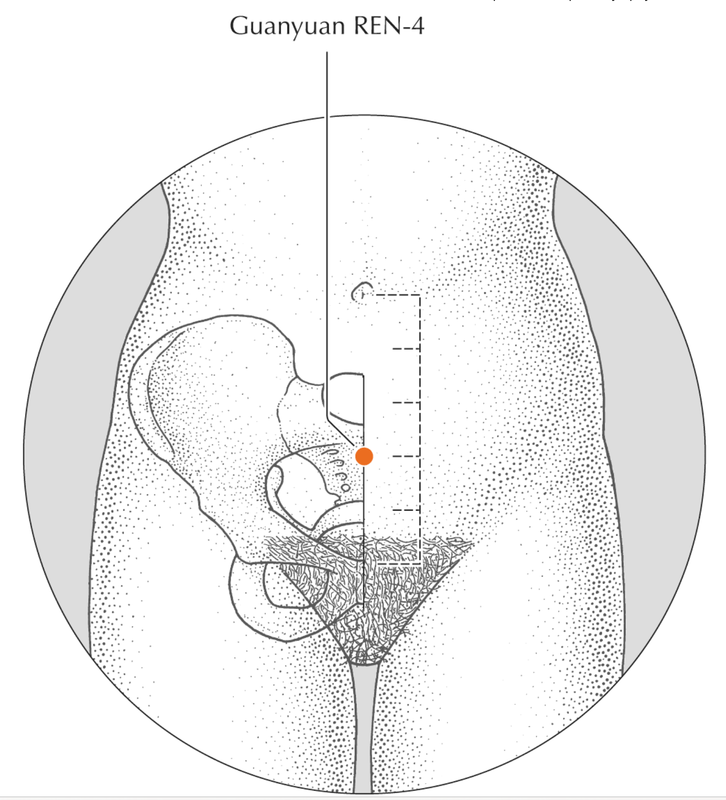 Different sources place it at 1.3, 2, 2.4, 3, or 3.6 inches (actually it is cun 寸, not inch – me) below or behind the navel, and consider it to be the same as, or closely related to, other loci in the same region of the body.” I see this description very useful for all of us because of opportunity to choose what you could like better. 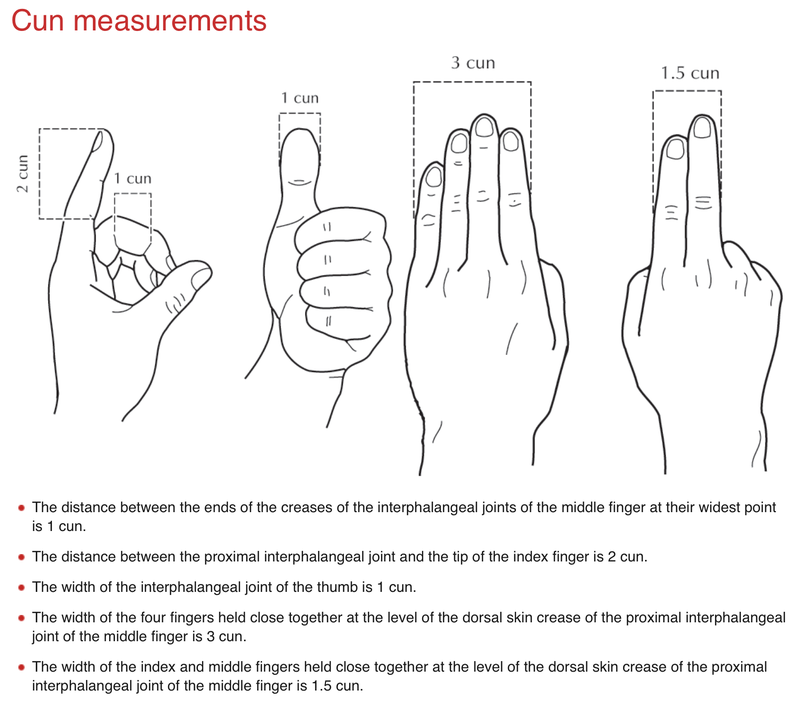 Very long time ago, when I was a student at the university and an absolutely wonderful volume of SYSTEMATISCHE ACUPUNCTURE by Porkert/ Hempen was in my hands first time, I did my choice, I used to think about my dantian center as located four fingers of the one palm lower than my navel. Spending the rest of my life between dictionaries and cups of green tea, I do not see any reason to change my mind on that location. 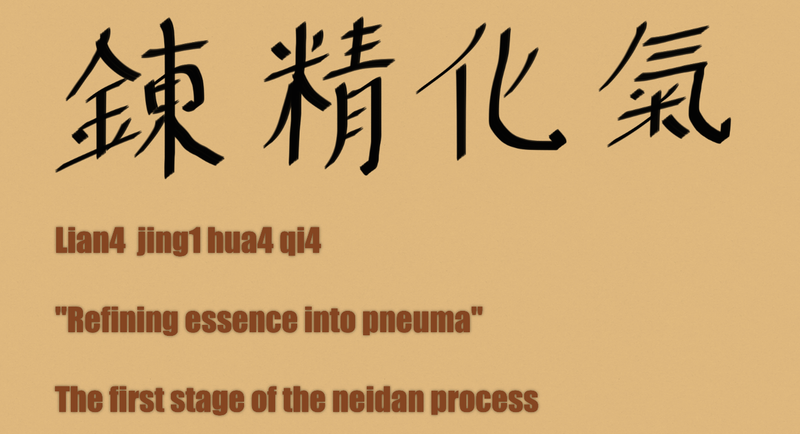 What is really important to know is that the first stage of neidan meditation includes circulation of qi along two channels, (renmai and dumai) and generates the inner elixir here, as a result of liànjīng huàqì 鍊精化氣 (refining essence into pneuma) process. By the way, if one’s curious mind needs further information, I guess, a screenshot from my favorite application A Manual of Acupuncture by the Journal of Chinese Medicine (England) and the app itself can be helpful here. It seems to me, readers of Encyclopedia of Taoism just deprived of making another sweet choice here due to considerably small size of a human brain, because ‘the upper Cinnabar Filed is located in the region of the brain and is the seat of spirit (shén 神), also known as Muddy Pellet (niwan)’. In consequence, the third and last stage of neidan meditation is defined as ‘liànshén huánxū 鍊神還虛(refining spirit and reverting to Emptiness). The long story of inner teachings of China is multifaceted and varied but it does not mean absence of the core which only one can help us to preserve our wholeness day by day. Breath retaining and counting to 200, 250, or 300 in meditation practice seems unrealistic but the good news is that within gymnastic exercises it was reduced only to 5, 7, or 12. There is another thing which was interesting to learn from the Catherine Despeux’s entry, I mean a source of a very old image of ‘a feather placed under one’s nose which should not move’ while retaining his breath. I really do not remember when and where I had read about it the first time (some decades ago) but now I know exactly that it was quotation from the Prescriptions Worth a Thousand—Qianjin fang by Sun Simiao (fl. 673), many hundreds years ago. Some people believe that cosmology (the study of origin and develoment of the universe) is the branch of cosmogony, others believe that cosmogony (the study of origin of the universe, esp. the solar system) is the branch of cosmology, and (in a present case) I level that they both are Western point of view which was one philosophical system in ancient Cathay. 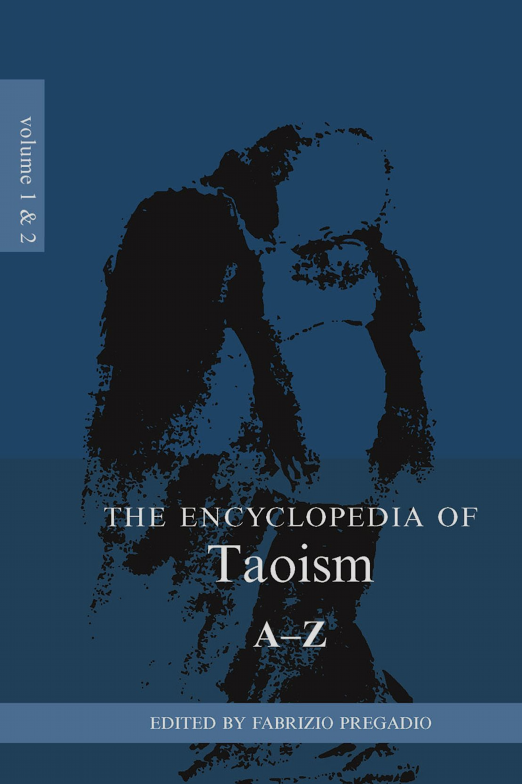 Christopher Gullen wrote an Overview for this entry and for us, followers of the Encyclopedia of Taoism, is important to see his accent on two elaborate numerical concepts, Yin-Yang and Wuxing, based on numbers two and five, and the time of its origins and main source: third century BCE and a text from the tomb of Mawandui, 168 BCE (Cheng-Designations) and ‘early imperial period’ (wuxing-Five Phases, or Five Agents). 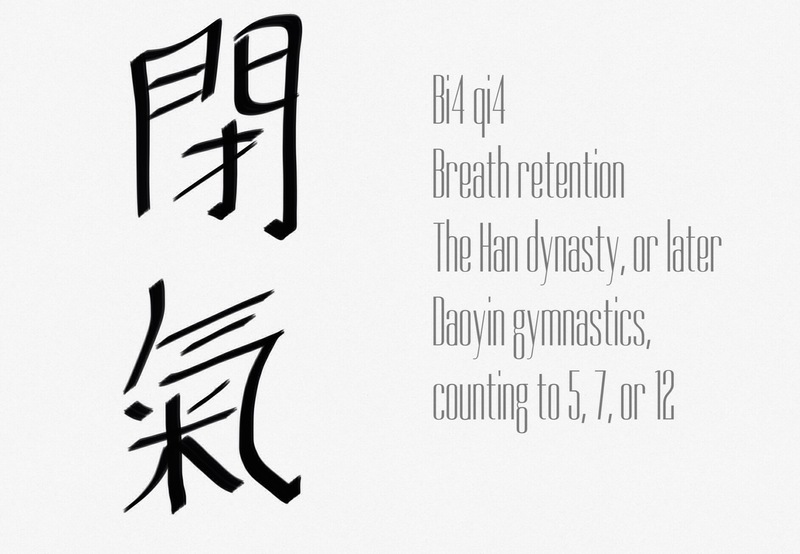 Of course, next step will be paying attention to bagua (eight trigrams) and Yijing (64 hexagrams). ’Nothing’ and appearance of zero in Chinese mathematics, 1, 2 (yin-yang relationships complex enough in 102 pairs of opposites and more), 3 (and trigram’s origin), 4 (welcome, coordinate system! ), 5 (wuxing theory, 31 lines in table, one of my favorite), 6 (and hexagram theory and divination roots), 7, 8 (and trigrams’ combinatorics in 16 strings at least), 9 (including divination lines correlation 6-7-8-9 and the main heroes are there magical squares the Luoshu, and the Hetu), 10 (Celestial Stems, tiangan), 11, 12 (Eartly Branches, dizhi, and twelve double hours of the day), 24 (seasons of lunar year), 28 (star constellations which do not look like Western mapping of the sky at all), 60 (sexagesimal cycle and Chinese ancient calendar), 64 (hexagrams’ combinatorics of Yijing, definitely my dearest and favorite and the most adorable), 16 levels of concentric circles of the Luopan (including all named previously) resulting in some hundreds partitions in total, and of course, wanwu – ’ten thousand things’ in the end to begin the return to the one. Some solid, salty details to the base. The Table 1 of Yin-Yand devisions from the Cheng (Designations) text contains 22 pairs of opposites, and I have collected previously 91 pairs from additional sources, together the list has now more than 100 different pairs, and it does not mean I am smarter than encyclopedia’s authors, it means that I had much more time for gathering information and more space on my hard disc, and probably it is a kind of measuring of my love to details too. Another example, another table, Table 25. Wuxing table in my collection has 31 rows in five divisions, in sum 155 words which need our attention and probably another grouping, or order in appearance, or better tables of representations (not that quality we have in two volumes of encyclopedia). By the way, two table, No 1 and No 25 were made in the two different techniques, and the second was terrible in execution. The best tables and explanations of waxing theory I have found earlier are located in the tome Systematische Acupuncture, German edition, authors Porkert and Hempen, 1985. The table of bagua divisions has 16 row (undocumented origin), in sum 128 words, and many tables of Yijing illustrations, some of them are original and I have never met them before in public editions look like a treasure for the determined person. We definitely will have opportunity to bring our attention to them later. Isabelle Robinet underlines in her note that the Taoist travels ‘beyond the self’ in the two directions, from the Dao to the whole world and from the living world to the Dao, shun (‘continuation’) and ni (‘inversion’) movements. In addition, I would like to cite Philip Rawson’s book (Tantra: The Indian Cult of Ecstasy, 1979, p. 14) on the time line: “This backward look into the mouth (of the monster of time) which spews out time and space is represented in the great Tantrik yantra-diagrams, especially the Shri yantra. The act of meditating on them is meant to drive the mind to take that backward look, in fact to reverse the act of Genesis, and stare straight into the continuing act of creation”. Frankly, I do not plan to draw parallel lines in different cultures and religions (actually, I try to avoid this behavior in other people’s trials by any cost), what I am doing now is that just any normal reader will do — keep itself organized in free associations, a little bit. The main reason I have read the Encyclopedia of Taoism and started these private notes is to figure out my own sweet way, and the simpler it will be in the end, the better it will be for finding calmness of spirit in everyday life. It is interesting to learn the fact that Chinese cosmogony ideas have begun to function in lV-ll centuries BCE and they have three special features: (1) the lack of a god responsible for all living creatures and things, (2) ‘no element of explicit teleology’, and (3) the universe is not casual but the sequence of ‘unfolding’ and inner order. Christopher Cullen named all these characteristics in the first article catching the eyes in simplicity and clarity of Chinese cosmogony. I am not sure everything is so simple, and further reading of Zhang Heng (78-139) Lingxian (The Numinous Structure), probably could help in finding complexity and uncertainty (ancient Chinese can be difficult to understand and sometimes just impossible to interpret in the terms of Western culture so far). From time to time I do like to browse magazines’ articles on astronomy for non-professionals: black holes, origins of our planets, stars’ lives, and how life could possibly to spring up are entertaining topics to spend a couple of hours in the evening. Reading books written by splendid authors Richard Dawkins and David Deutsch (The Selfish Gene, 1989, and The Fabric of Reality, 1997 did not do much harm to me too). But anyway, traditional Chinese point of view due to its amusing art of hieroglyphs’ writing and concise historical texts on nature of universe will be always preferable, do I have or have not additional explanations. There is some exceptional heat of poesy inside prose lines which extended and survived to present days. Just feel it! The articles in the modern glossy magazine and online bright sites seem to be rewritten very soon following to progress in scientific knowledge mining but the mystical charm and multilayered meanings of ancient glyphs keep going to be somewhere close to us, and definitely, they stay very close to me right now, right in any moment of my life. Isabelle Robinet pointed out that “Taoism employs two main cosmogonic patterns, one threefold and the other fivefold, which are related to the vertical and horizontal axes of the world. From these patterns arise all other celestial and terrestrial configurations.” I think, that it is a good point to start including the whole row of numbers from zero to any number our imagination can provide us to embrace vertical, horizontal, and all other systems of coordinations. Will it be still Taoism? At least, its spirit, I guess. ’Nothing’ and appearance of zero in Chinese mathematics, 1, 2 (yin-yang relationships complex enough in 102 pairs of opposites and more), 3 (and trigram’s origin), 4 (welcome, coordinate system! ), 5 (wuxing theory, 31 lines in table, one of my favorite), 6 (and hexagram theory and divination roots), 7, 8 (and trigrams’ combinatorics in 16 strings at least), 9 (including divination lines correlation 6-7-8-9 and the main heroes are there magical squares the Luoshu, and the Hetu), 10 (Celestial Stems, tiangan), 11, 12 (Eartly Branches, dizhi, and twelve double hours of the day), 24 (seasons of lunar year), 28 (star constellations which do not look like Western mapping of the sky at all), 60 (sexagesimal cycle and Chinese ancient calendar), 64 (hexagrams’ combinatorics of Yijing, definitely my dearest and favorite and the most adorable), 16 levels of concentric circles of the Luopan (including all named previously) resulting in some hundreds partitions in total, and of course, wanwu – ’ten thousand things’ in the end to add completeness and taste to the whole world, including us, humble human beings. In general, all these numbers with so easy reproducible properties but so hardly understandable mutual interferences make me feel like a wandering magician — free from possession of many things (almost always) and free and protected from deadly influence of beautiful women (very often but never guaranteed). I would like to express my great respect to Antony Garrett Lisi, an American theoretical physicist and his most famous paper An Exceptionally Simple Theory of Everything in 30 pages. Yes, we all know that this theory is not complete (what IS complete in modern physics?) but the five color illustrations of ’E8 root system’ (a polytop) which the American scientist got unifying both the standard model and general relativity — can impress by their beauty of triangles and their numerous connections which I gave up to count very soon (frankly, page 14, but my respect to author was rising to the end page). So, where exactly we are going to after delicious triangle meeting in ancient Taoism and modern theoretical physics? Sri Yantra (1) and (2) more difficult star polygons, Sri Sarvabhava Yantra. I do still believe and can prove (’can’ does not mean ’want’) that it is the best geometrical symbol of cosmic beauty with extraordinary simple and elegant mathematical roots. Not those roots you will meet instantly into online images surfing (totally wrong idea), but roots which are opened only by using the special rules (right but totally unrivaled) of unique algorithm and a very usual ruler from the nearest stationery shop. Threefold and fivefold, sixfold as well patterns are in the core of geometrical design of Sri Yantra, or 14-pointed star polygons, or more difficult 18-pointed ones. The meditation begins before you put a clear, white paper on the desc, and it takes years to come to fruition, to the real draft and then a fair copy of the wonderful drawing. This art of meditation means and models the cosmogony of humanity in the heart of the adept. It is honestly can be called a process of unfolding the whole world from one dot during the very short time: sometimes minutes, sometimes hours, or days, or weeks, depending on difficulty of design and strength of spirit of a performer. Having done it once, it will last whatever it needs to be completed in itself. Well, reading 1600 pages took 40 days, making hand-written and pen-brushed synopsis of the most important pages (to my taste at least) took another 40 days, and putting paper synopsis into some computer apps to enjoy them everywhere on the go took another month. In sum, it is four months of reading from December 2013 till May 2014, and pleasure was always mine. Yes, there are approximately 800 entries in the whole two volumes, but only 80 proved to be my favorite: Cosmogony, Cosmology, Biqi, Dantian, Dao, Fuqi, Ganzhi, Guan, Gui, Heqi, Hetu and Luoshu, Huainan zi, Huangdi neijing, Hun and po, Hundun, Huohou, Ishinpo, Jindan, Jingzuo, Kunlun, Lianqi, Lianxing (1st volume) and Mawandui manuscripts, Mingmen, Mingtang, Neidan, Neiye, Niwan, Nudan, Penlai, Qigong, Qixue, Rong Cheng, Sanguan, Sanyi, Shengren, Shouyi, Taiji quan, Taiji tu, Taixi, Taiyi jinhua zongzhi, Ti and Yong, Tiaoqi, Tuna, Waidan, Wu and you, Wudan shan, Wuji and Taiji, Wuwei, Wuxing, Wuzang, Xianren, Xiantian and Houtian, Xin, Xingqi, Xuanguan, Xuannu, Yangsheng, Yi, Yijing, Yin and Yang, Yuanqi, Yuanqi lun, Yunu, Zaohua, Zhan chilong, Zhang Boduan, Zhang Sanfeng, Zhenren, Zhenwu, Zhongxi, Zhoutian, Zhuangzi, Zi, Ziran, Zuowang (2nd volume), and some notes on Periodization of Chinese History and Bibliography. Yes, there are more than 40 great contributors in this edition (by the way, I used Kindle to read and make highlights and add notes) but only nineteen are my favorites now: Isabelle ROBINET, Catherine DESPEUX, Livia KOHN, Fabrizio PREGADIO (EDITOR), Monica ESPOSITO, Christopher CULLEN, MIURA Kunio, Elisabeth HSU, Farzeen BALDRIAN-HUSSEIN, Martina DARGA, Russell KIRKLAND, Thomas E. Smith, Gil RAZ, KIM Daeyeol, Robin D.S.YATES, Vincent GOOSSAERT, SAKADE Yoshinobu, Caroline GYSS, and Theodore A. COOK.